This Pokemon Omega Ruby and Alpha Sapphire Elite Four guide gives you the neccesary information and strategy you need to claim the throne as Hoenn Pokémon League champion! 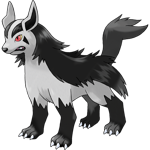 Sidney is the first and easiest of the Elite Four, specializing in Dark type. 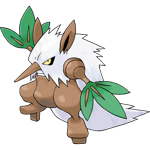 A strong Fighting or Fairy type Pokémon with a solid STAB move likely be able to One-hit KO every one of Sidney's Pokémon. 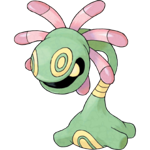 A few of his Pokémon get the additional Grass or Water typing, but Fighting and Fairy will still be super effective. 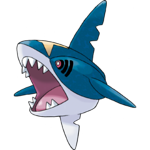 If you let Cacturne and Sharpedo live long enough they might punish you with a Leech Seed or Poison Fang. Phoebe, the unsuspecting Ghost specialist is up to challenge next. She'll provide more of a challenge then Sydney. 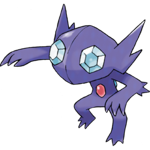 We recommend using a strong Dark type, as it will be Super effective against all but Sableye (it's additional Dark typing makes Dark attacks normally effective). Watch out for Dusclops's Curse which will take 1/4 of your HP per turn regardless of typing. 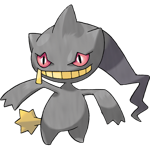 One of her Banette's knows Will-O-Wisp and the other knows Toxic, so make sure you've got some status healers ready. If you don't give Phoebe a chance to get nasty with recurring damage, you should have no trouble. 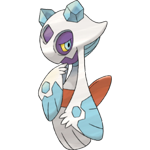 Next up is Glacia, who uses Ice types. 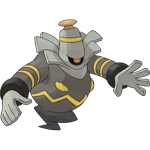 We recommend Steel and Rock types as the dual Ghost and Water typings of Froslass and Walrein devalue Fighting and Fire types. 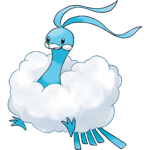 Most of her Pokémon know Hail, so be prepared to be buffeted by that for the whole battle. 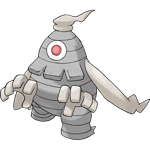 A Steel type with strong Attack and Defense stats will make quick work of her team (Metagross is perfect) and Rock will work well too, but watch out for Walrein's surf which will be Super Effective. 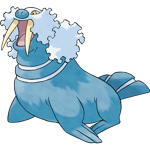 Walrein also knows Sheer Cold which is a One-hit KO. You won't have to worry about it if your Pokémon are above Level 54. Drake is the final member of the Elite Four and he uses Dragon types. 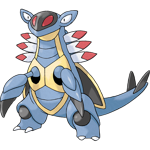 Ice is incredibly effective against him, as it deals 4x damage to every Pokémon bar Kingdra, which it's 1x effective against. 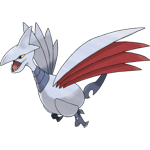 Fairy also works well, it's 2x effective against every Pokémon including Kingdra. Watch out for Ice Beam, Flamethrower, and Thunder Fang which can Freeze, Burn, or Paralyze you. 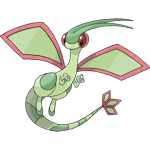 Falmethrower is also super effective against Ice, so get rid of Flygon before it's got a chance to use it. 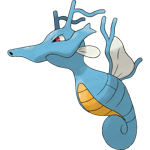 Kingdra is your biggest threat with it's Water type and Yawn which can put you to sleep if you're not careful. 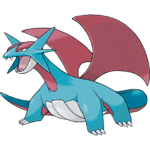 A strong Ice type should take care of Drake before he's got a chance to inflict those status conditions. It turns out the champion is Steven! 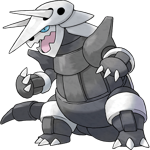 He uses mostly Rock and Steel type, but he does use six Pokémon with a wide spread of types and attacks. 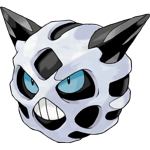 That being said, it's hard to recommend a type but Ghost and Dark are both Super Effective against the two Psychic and normally effecting against the rest. Ground and Fighting are both Super Effective for Rock and Steel, but don't fare well against the other types. Watch out for Toxic and Sludge Bomb which will badly poison you and Confuse Ray. 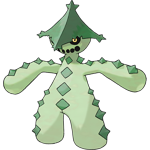 He might also use Spikes to inflict damage if you switch Pokémon and Giga Drain to regain health. 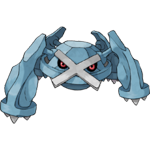 Mega Metagross can be very dangerous with the extremely powerful Giga Impact. Steven won't be very challenging if you've been training your team well, but don't expect to One-hit KO every Pokémon with only one of yours like you may have with the other Elite Four members. 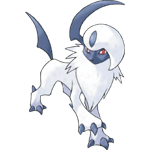 Thanks for using our Pokemon Omega Ruby and Alpha Sapphire Elite Four guide! Congragulations on defeating the Pokémon League; Bask in the glory as the credits roll, champion.